Guiding should continue to be implemented in an adult context”. For more information about the ISGF, visit the website at http://www.isgf.org. 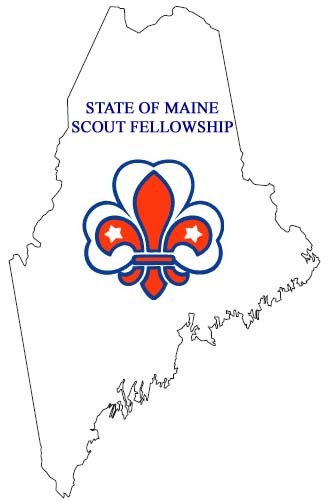 The group will be known as the "State of Maine Scout Fellowship." Presently, it is thought that the group will hold four activities annually; in addition to supporting community service activities sponsored by Troop 160 Memorial Scout Camp, there will be a winter social and a summer gathering. If you are interested in joining the group, please contact Jeremy Bernier. All that is needed to join the group is your name, birth date, and date(s) of your activity in any other Scouting group, if any. We also recommend that you be a resident of the State of Maine; non-Mainers can register with the ISGF as individuals. Dues are expected to be approximately $3 and will be collected at a later date TBD.